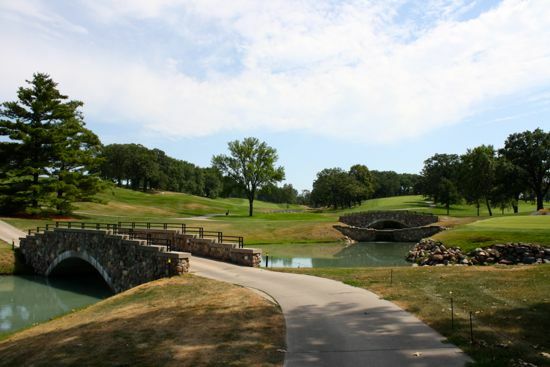 I first played The Wakonda Club trying to qualify for the US Junior Amateur when I was 16 years old. It was a challenging course – extremely challenging at that time in my game and limited amount of experience away from my home course. 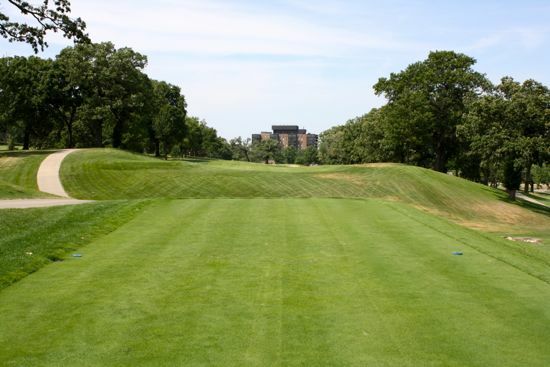 Since then, I have made a few more trips to the course – but life and job have since taken me away from central Iowa. 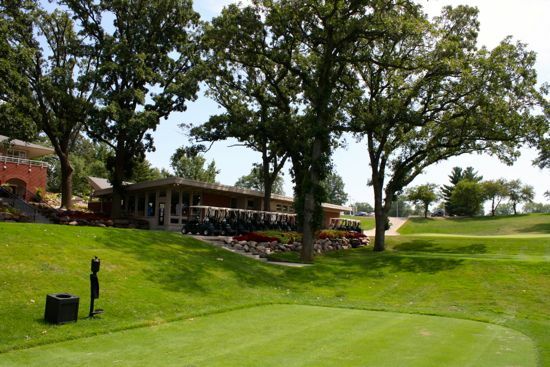 This summer, during our annual trip home, I decided to start a new series of reviews on ‘Best of’ across states – and The Wakonda Club was at the top of my list for my birth state. 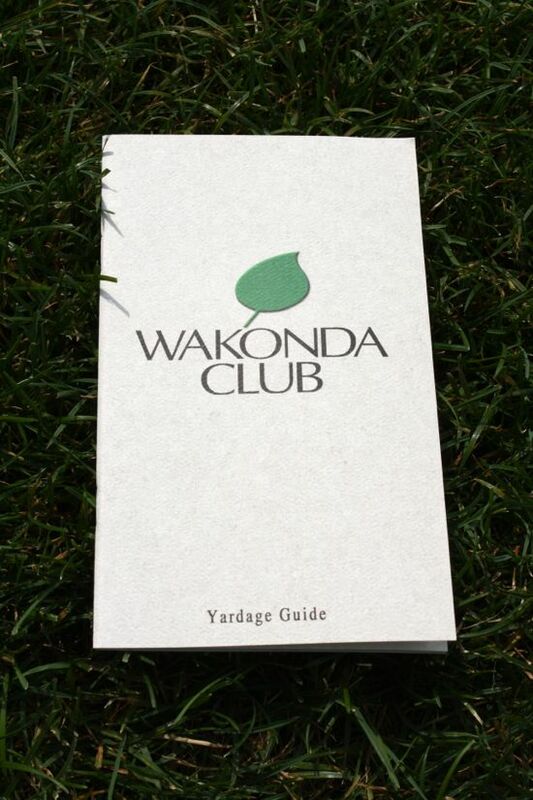 To be clear for the reader, The Wakonda Club is a private club, unfortunately not open to play by the general public. However, leaving it out of the list simply wouldn’t be right. 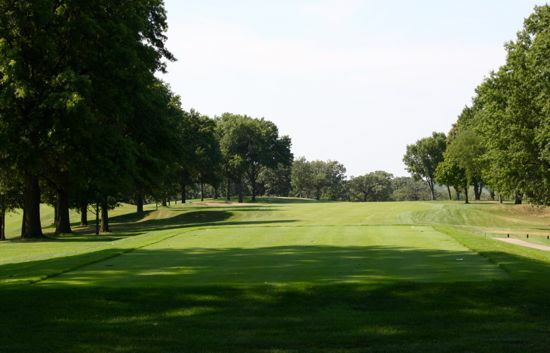 The crew over at GCA currently lists The Wakonda Club in its list of “Next 50” to play. For their sake, I do hope they are able to make it out. 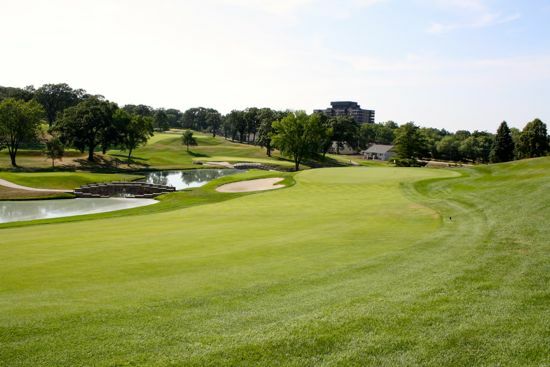 The course lives up to its billing, and does such an efficient job of wandering its holes across and through the hilly terrain of the property on the south side of Des Moines. 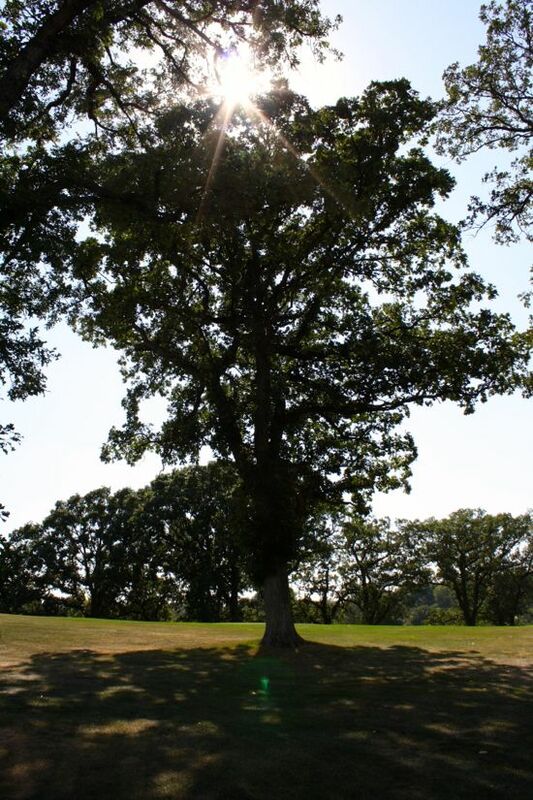 The opening hole really sets the tone for the front nine, with a tee shot requiring a nice draw around a turn guarded by the gorgeous, mature oak trees that define the landscape across the course. A good tee ball on the first is rewarded with yet another challenge – an uphill approach to an elevated green some 175 yards away. 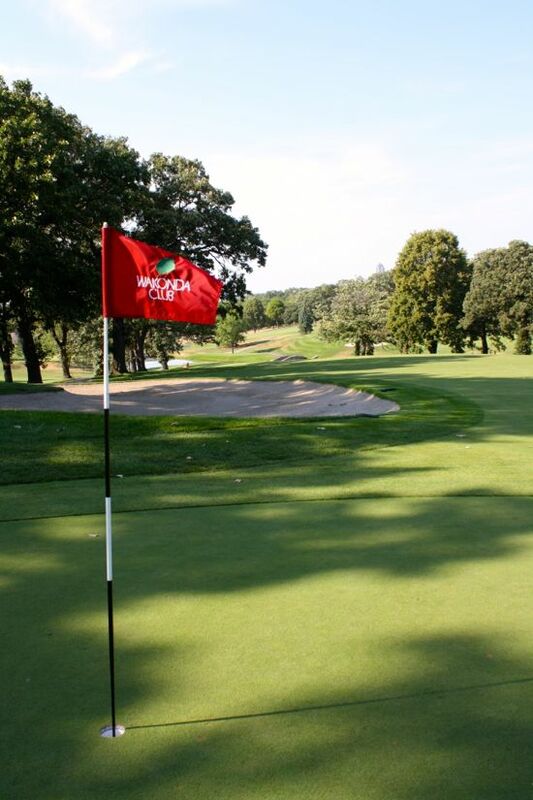 One of the greatest attributes of The Wakonda Club is its pristine greens. True running putts that hold their lines are an immediate confidence booster for me in any round. 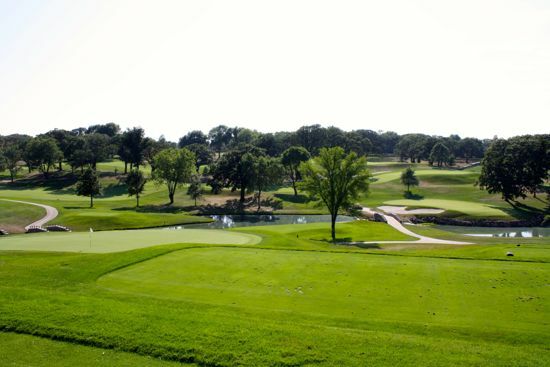 That’s exactly what every green at Wakonda provides – and the card shows it, six one-putts and zero three-putts on the round. What Wakonda gives to you in true rolling putts – it takes from you in the challenging contour of most greens. A fantastic example of this is the green on #11. The short par-4 offers a birdie-welcoming approach wedge to a green that appeared to look like a simple land-and-funnel to the pin. Getting to the green, and standing over the putt, however, was a totally different story. My approach had not released – and I was left with about 25 feet for birdie. Putting with about 12 feet of break across the grain, I considered myself lucky to walk away with only two putts and a par. 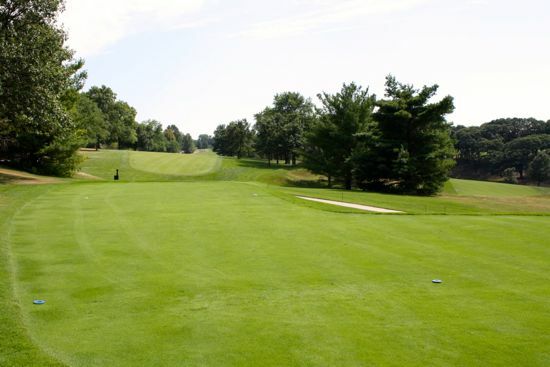 Overall, the course is not an especially long track – with the Blue tees playing at just over 6500 yards, and the tips coming in still just under 7000 yards. 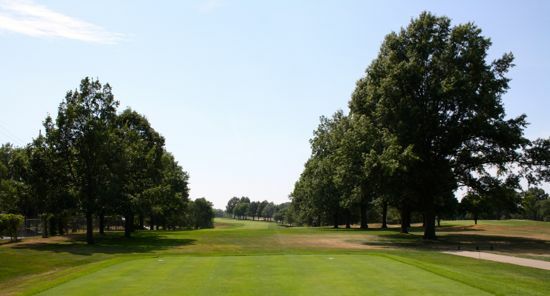 What the course lacks in deep, long distance holes, it makes up for in requiring specific placement of tee shots – penalizing golfers for straying off into the oak trees lining most every hole. One of my favorite holes on the front side was the par-5 5th hole – a great display of two holes in one – and a well laid out opportunity for risk-reward. It’s actually only just now, as I look at the scorecard, that I realized it’s the #1 handicap hole on the course. 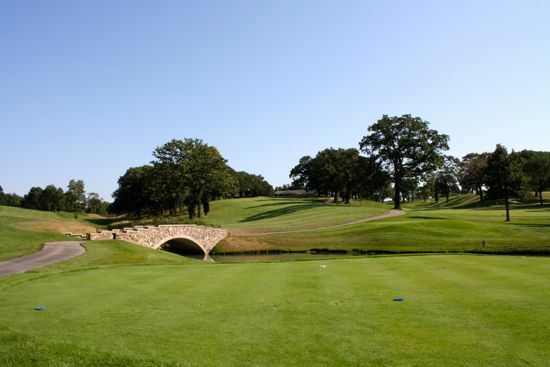 The 505-yard uphill, slight dog-leg left par-5 starts with a tee shot that gradually elevates to a plateau appearing to – from the tee anyhow – lead to a leveled-off approach into the green. Arriving at the top of the hill, I found that reality was quite to the contrary. Standing on the tee, you could tell it was going to play as any one of three holes – all set up by various options created by the drive: (1) Pull it left into the trees, and prepare for a punch-out and best-case par after getting up and down from somewhere inside 100-yards, or (2) a chance to make a run at the green in two if I could rip a drive with a nice draw to the left center fairway at the plateau, or (3) a pedestrian three-shot, two-putt par after blocking the tee ball right. Fortunately, I went the second route – and ripped it with a nice draw to just left-of-center fairway at the top of the hill. This is where the next surprise came in. I hope I didn’t lose anybody in the details there. 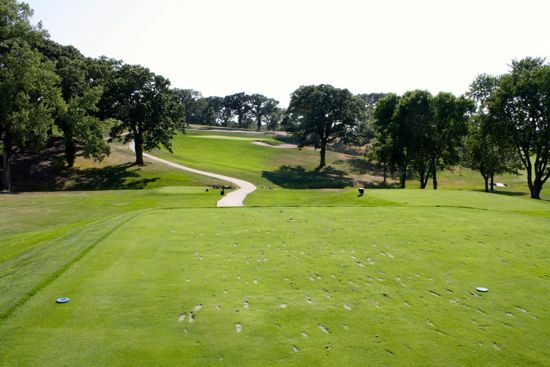 But, that one hole quite simply summarized several of the best aspects of The Wakonda Club – manageable distances requiring precision shots, and creativity in shot-making, rewarding good putting with excellent scoring opportunities. If you can consistently do that – you’ll score well. If you cannot – you’ll blow up your handicap every time. I could have played the fifth hole over and over, all day long. The front nine wrapped up with a few more holes around the Eastern exterior of the property – adding out of bounds fencing to go with the deep lining of trees. These holes provided similar challenges in hilly contours, false front greens (which I fell victim to when I decided to get cute with an approach to a front pin on #6) and manageable distances rewarding accurate tee shots with opportunities to go low. The back side of the course was very similar to the front in feel. 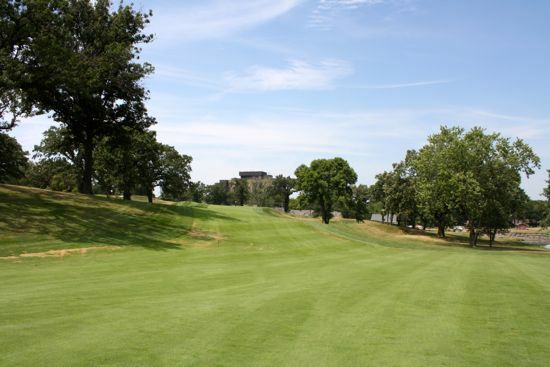 The course definitely maintains a common feel of identity as you go through the holes. I don’t know if it was just getting more used to the layout, but the back side felt like the easier of the two sides – despite my shooting two strokes better on the front. 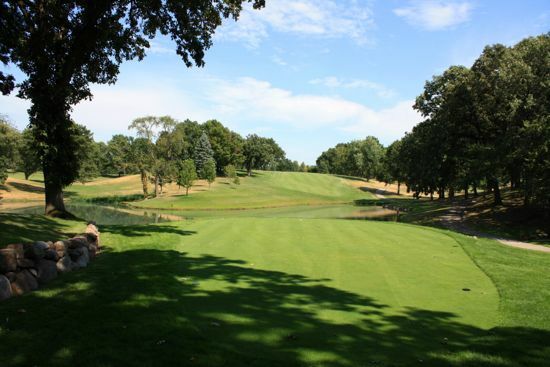 The tenth hole starts the back off with an immediate challenge – a tee shot over a small lake, and up a hill that will almost certainly leave a blind approach from an uneven lie. I overcooked my drive again on this hole a bit, and was immediately penalized. More big trees, with even bigger overhanging limbs, requiring more creative playability from one’s game. 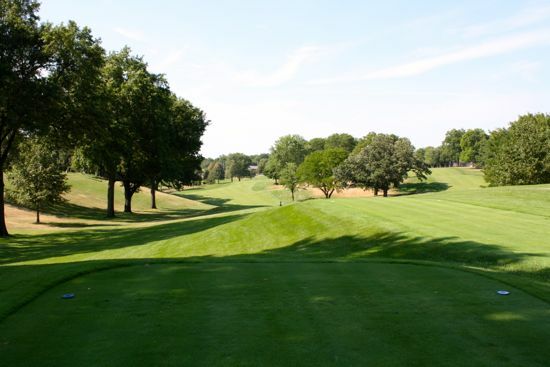 It’s a 425-yard hole – which seemed to me to play a lot longer throwing in the uphill tee shot and challenging approach. A great little challenge at the midway point of the back-nine is par-3 14th hole. 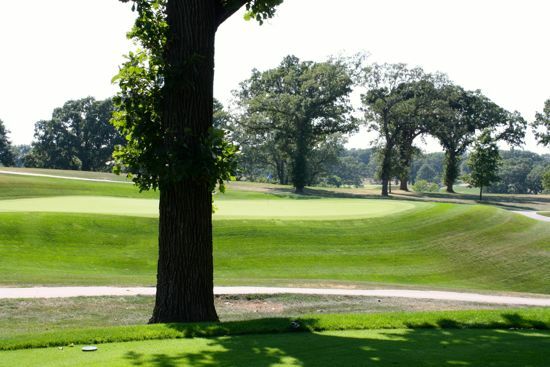 It’s somehow listed as the 16 handicap hole for the course – which struck me as surprising giving the layout and susceptibility to the elements. On this day, this hole played into the wind, uphill – and had a right-side back pin placement, protected by a sandtrap. With the yardage showing about 170 to the pin, I figured a solid five-iron would set me up for a nice two-putt par. Nope – the ball held up in the wind, and managed to fall way short, even short of the trap guarding the pin. I had a terrible lie that gave me no option but to settle with a bail-out to the fat part of the green for a two-putt bogey. I wasn’t too pleased – but walked away thinking of it as a great little golf hole, presenting a potential turning point for either a great round heading into a good scoring opportunity (par-5, 15th hole), or a demoralizing let down midway through the back side. 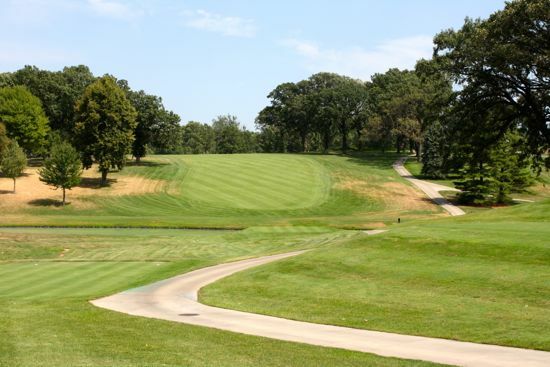 The trio of closing holes at The Wakonda Club offer some of the best three walking holes on the course. The par-4 16th is a challenging hole with a right-to-left sloping fairway, guarded by a very small ravine down the left side that can present issues to anyone who plays a draw off the tee (like myself). 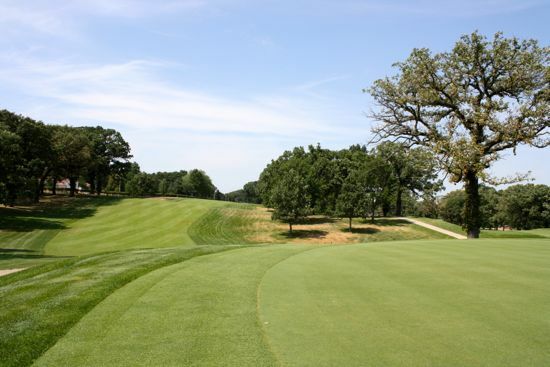 The par-3 17th is a great downhill hole, from a tee box situated right off a collection of the familiar Wakonda majestic oaks. I hit the purest iron shot of my round off this tee – a big sweeping 6-iron that drew into the back left positioned pin, leaving me a good run at birdie. I didn’t hit the putt, but it sure felt great off the tee! 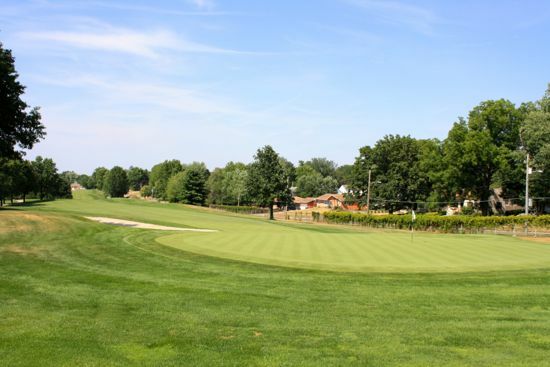 The round ended with a very short, but demanding uphill par-4 – measuring at just over 300 yards. You’ll be tempted to hit driver – to leave you with an extremely short approach. 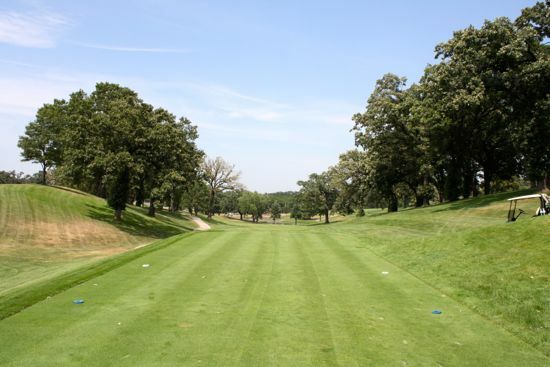 However, miss the fairway, and you have a limited amount of space on either side before the ball runs quickly off the steep downslopes and into a tree-lined jail. I elected for a hybrid off the tee that left me just under 100 yards to the green – and a smooth par finish. 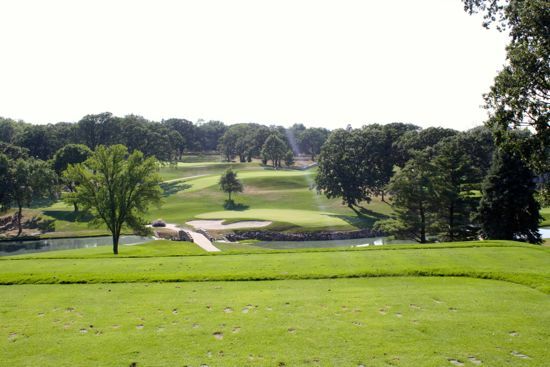 It was a pleasure returning to The Wakonda Club, I thoroughly enjoyed myself. It was a late-July scorcher of a day – and the area had not seen rain in weeks. Despite all that, the course was in fantastic condition. Aside from some sporadic thirsty, burned areas in the rough, the fairways and greens were simply immaculate. If you ever have the opportunity to tee it up on this course, I strongly encourage you to do so. In closing, I want to personally say thank you to the gracious staff for allowing me to play and write this review. 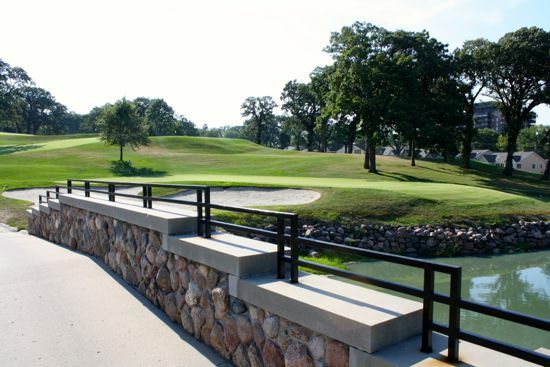 There are a number of things I miss about central Iowa – the challenge that is The Wakonda Club will always be one of them. Can’t get enough? Check out the Wakonda Club photo album on Facebook.